[Cornwall, England] – A young ballet dancer from St Agnes has been selected for a place at a prestigious dance school. Morgan Wright, 10, has been given a place at the Elmhurst Dance School which is a centre for professional ballet and an associate school of Birmingham Royal Ballet. The youngster said he was looking forward to taking up his place at Elmhurst and taking the next step towards becoming a professional performer. Morgan has been training and performing since the age of five with Jason Thomas Performing Arts based in Truro, and has been developing his dance skills a across a number of disciplines such as contempary, classical ballet, street dance and musical theatre. He has already performed at local venues such as the Hall for Cornwall through to Sadlers Wells London and competed in regional and national competitions. It was two years ago with Jason’s guidance that Morgan discovered and auditioned for the Elmhurst Associate Programme in Plymouth and has been attending lessons every Sunday being taught by Miss Lyndsay. In addition Morgan got the chance to complete several intensive weekends at Elmhurst the purpose built ballet school where he made the decision that it was his desire to further his skills and experience. He will spend three years starting from September honing his craft with some of the best teachers in the business, the classes are led by professional practitioners and they focus on developing performance skills, teamwork, confidence and self-esteem to take that next step in performing. With three sons, the Kempsey-Faggs might not have imagined that dance would feature in their family life. But all of them have been talent-spotted and selected for elite training. And there’s nothing girly about it. Each year, Birmingham Royal Ballet (BRB) runs workshops in schools across the city with more than 1,500 children aged five and six. Approximately 200 are invited to audition, with around 60 being offered free, professional ballet tuition on a programme called Dance Track, which aims to identify children with potential to become dancers. At least half of those chosen will be boys. Oscar was selected and subsequently so, too, were his two younger brothers. 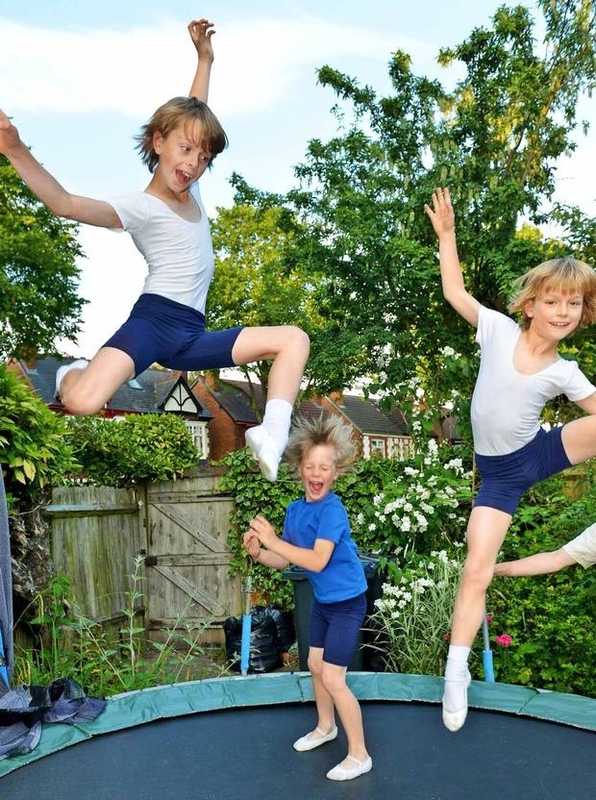 Now, despite having no previous links with ballet, Jane and Joe Kempsey-Fagg have a whole family of ballet-dancing sons and dance has a central place in family life, opening up new possibilities for the boys. While ballet classes are a routine part of childhood for many girls, boys can find the classes off-putting. “Often, in ballet classes for that age group, the class will be full of girls and the activities geared around them, such as running around being fairies,” says Rachel Hester, a Dance Track teacher. “The boys don’t want that and you’ll lose them. We made a conscious decision to have white shoes and blue tops on Dance Track. There is no pink. 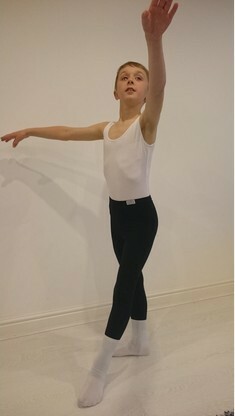 After his first year with Dance Track, Oscar was selected to join a smaller group for another year then, at the age of eight, won a place on the prestigious Royal Ballet Junior Associate scheme, a three year elite training programme for eight- to 11-year-olds with the potential to become professional dancers. At the same time, it was the turn of Oscar’s younger brother Marlo to take part in a workshop at Colmore Junior and Infant Schools, which the boys attend. He, too, was selected for Dance Track. As well as the rounds of lessons, the boys would regularly see performances by BRB and the Royal Ballet, being given free tickets as part of their training schemes. They talk knowledgeably and enthusiastically about whether they prefer classical or modern styles of ballet. If some people express surprise at the place of ballet in a family of boys, their parents feel it all fits perfectly. The way that boys see ballet does seem to be changing, fuelling a new interest in participation. In March 2014, the London Boys Ballet School was established by James Anthony. “It was clear that more boys wanted to try ballet, but there was nothing for them,” says James. “They would be lucky to find a ballet class with just one other boy taking part and the image would be very pink and fairy-like.” Creating boys-only classes, focusing on strength, jumping and athleticism, the number of participants at the new school quickly grew to more than 30 with ages ranging from four to 14. The footballer Rio Ferdinand, who trained in ballet, and the street dance crew Diversity, are influential figures who have praised the benefit of the discipline for boys. And at the highest performance level, Balletboyz, the company formed by former Royal Ballet lead dancers, is shaping the re-branding of ballet from a male perspective. If the Kempsey-Fagg brothers do ever hear occasional comments that ballet is “not something for boys”, it is not off-putting. When considering this, Marlo quickly fires back, saying: “Ballet is awesome.” Beaming with pride, he adds: “I’m the only one in my class who is in it.” Like his older brother, Marlo, now aged nine, won a place on the Royal Ballet’s Junior Associate programme and has just completed his first year. 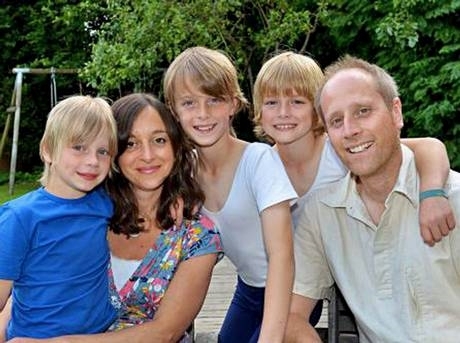 His younger brother Arlie, six, has recently also been selected for Dance Track. Oscar has just taken a major new step with his ballet, having been awarded a scholarship to attend Elmhurst School for Dance, the internationally renowned associate school for Birmingham Royal Ballet. “I am so proud of them,” says Rachel. Striving to become the next Darcey Bussell or Wayne Sleep takes hours of dedication, determination – and heavy financial investment. Emily Woodrow speaks to five young Welsh dancers with a dream to succeed in the ballet world and discovers the major sacrifices that they and their families have made. 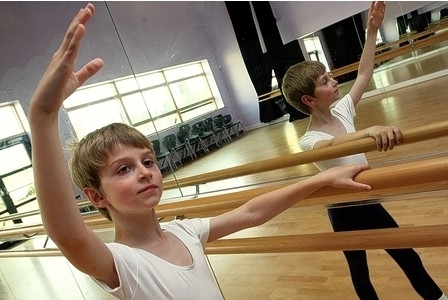 A Scunthorpe [North Lincolnshire, England]ballet dancer has been accepted into a top school. Shea Linley, 11, from Bolingbroke Road, has gained a full-time place at Elmhurst School for Dance in Birmingham. The Kimberley Performing Arts Centre (KPAC) student will start in September. His mum, Emma Linley, said she was sad to see him go, but wanted Shea to follow his dreams. She said: “It is a senior school, but it is boarding. He has been awarded a full five-year scholarship worth over £130,000. I am heartbroken he is leaving, but I have to let him follow his dreams. We need to put our feelings aside. Elmhurst guarantees three years of studying before assessments, unless there are any drastic issues, such as injury. Shea got down to the last 15 boys at the Royal Ballet School in Leeds, but was pipped at the post. He auditioned for the Leeds school in November last year. Shea secured a place at the Royal Ballet School’s Junior Associate Class in Leeds in 2012. Of the 432 young dancers who auditioned for the elite class – which is the only one of its kind in the country – Shea was one of only 15 students selected. Shea began his lessons in September 2012 and has been making the journey to West Yorkshire every Saturday for a two-hour 15 minute class. Elmhurst is a professional classical ballet school and an associate school of the Birmingham Royal Ballet. It is the oldest vocational ballet school in the UK, preparing its students for professional careers in ballet and related dance style. Through the auditions process, students are selected according to their perceived potential and their commitment to dance. 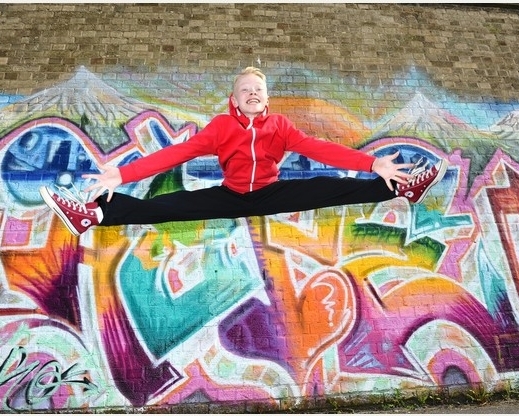 [Shropshire, England] – Lewis Bartholomew has been accepted for a place at the Elmhurst School of Dance in Birmingham. The nimble-footed 10-year-old was one of ten youngsters from around the world to win a spot at the school. The Welshampton Primary School pupil, who goes to the Market Drayton School of Dance, will start his scholarship in September. Mrs Bartholomew said her son had been dancing at the Market Drayton School of Dance from the age of two-and-a-half. Lewis’s other hobbies and interests include skateboarding and watching Star Wars. [Birmingham, England] – Talent spotted by Birmingham Royal Ballet, an 11-year-old boy from inner city Birmingham is hoping to carve out a career as a dancer. Jakob Myers is a real-life Billy Elliot. He was an ordinary seven-year-old from Balsall Heath, with older siblings who worked as a mechanic and a hairdresser, when he was plucked from everyday life and put into ballet shoes. Birmingham Royal Ballet teachers came to his school, King David Primary in Moseley, to run a workshop – and instantly spotted they had a ballet star on their hands. Three years on, the 11-year-old has danced in front of 7,000 people a night at the O2 in London in BRB’s production of The Nutcracker and is attending a world-renowned ballet school, [Elmhurst School for Dance]. Following the school workshop, Jakob was invited to audition at BRB’s studios and went on to become one of just 80 children selected to start weekly classes at Queensbridge School [a performing arts college] in Moseley. 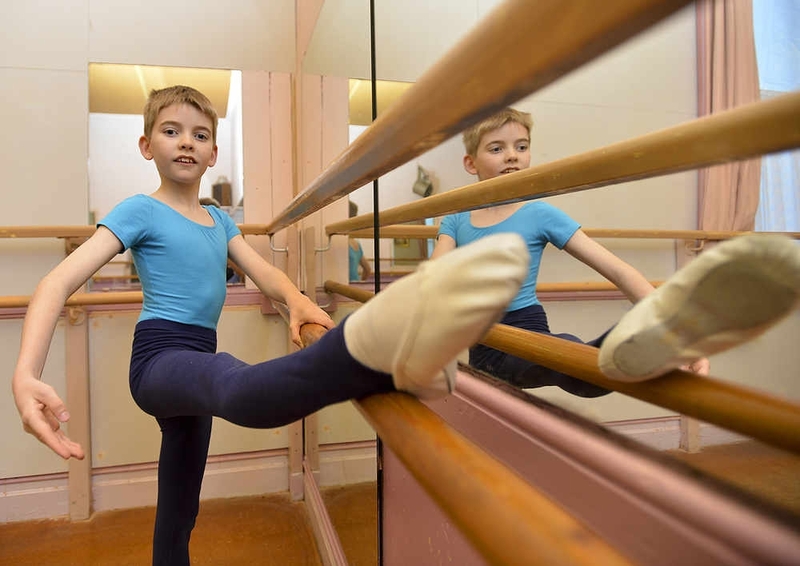 Through a BRB education project called Dance Track, potential ballet stars like Jakob are given a free two-year programme of ballet training and mentorship to prepare them for auditions at the best ballet schools in the country. And so it was that Jakob’s life took a turn so very different from that of his siblings – his brother Daniel, 29, is a mechanic, Nathan, 27, works in sports science at a university and his sister Sian, 21, is a hairdresser and support worker. “I don’t think his siblings would have wanted this opportunity – Jakob is completely different to them,” says Jackie… “But everyone contributes to Jakob, whether it’s fetching him from school and helping to buy his shoes. They’re really pleased he’s been able to do it. They love going to watch him. “He loves it and that’s what matters. The dance teachers said they saw something natural in him which was strange to us. “His dad said as long as he kept up with his school work he was happy for him to do it. “Jakob has never been sporty, so it’s nice he does this now. We just managed to fit it in after school alongside his music lessons. Jakob knew what he had to do to keep going to ballet classes, so he worked really hard at school too. He’s very determined. Jakob’s “bright lights” moment came when he performed as one of the children in BRB’s The Nutcracker, first at Birmingham Hippodrome at the end of 2011 and later at London’s 02. Jakob found the experience both daunting and exhilarating. “It was scary at the Hippodrome at first but I got used to it,” he says. “And, after I got used to it, we performed at the O2 and it started all over again! It was quite different from class. I had to know where to stand and how to dance with props. Dance Track is a BRB educational programme designed to give young people access to ballet where they wouldn’t ordinarily have the opportunity. “When Dance Track first came to our school I took to it straight away,” says Jakob. According to Pearl Chesterman, BRB’s director for learning, the ballet company teachers can instantly spot if a child has the potential to be a dancer. “When we go into schools, we’re looking for posture, physical ability and concentration,” says Pearl. “With some you can identify that as soon as they walk through the door; with others it comes out during the workshop. In Billy Elliott, a film about a young boy with a passion for dance, the father doesn’t like the idea of his son dancing until he sees him in action. “We get that all the time,” says Pearl. “But we’re actually finding we generally have a 50/50 split of girls and boys taking part. “There’s one class of Year 3 and 4 children where there are actually ten boys and only six girls, which is really lovely. In these instances, the boys’ competitive nature really comes out. “It’s about giving the children another perspective to their world, a way of meeting new people from a different background to them. Some of their teachers have said it’s given the pupils more focus, too. They’ve found they have concentrated better in school after taking part in the ballet classes. Dance Track has run since 1997, and students come from a wide range of white, black and minority ethnic groups, irrelevant of their social and economic background. Pearl says: “I don’t think anyone realised the longevity of the programme when it first started. It’s really consolidated in the city now as people really start to know about it. Originally it was in the south of Birmingham but now there are workshops and classes in the north, too. “It’s great because it means children from places like Aston, Handsworth and Lozells can take part, too. It’s wonderful to be able to work at the Lighthouse in Aston which has such fantastic facilities. It helps to make the children more focused than simply doing their classes in their school hall. Every year BRB need to raise £90,000 to pay for their Dance Track initiative, which works with 40 primary schools and more than 2,500 children. 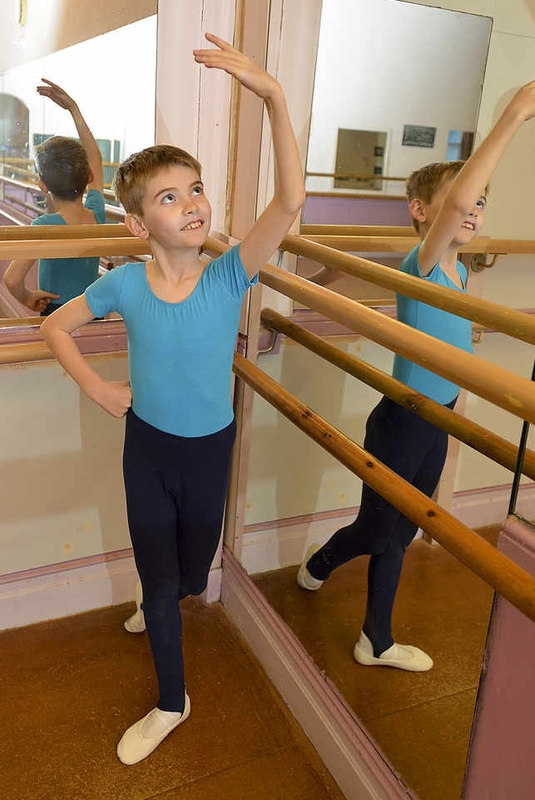 Encouraged by his BRB mentors, Jakob auditioned for a place at Elmhurst School [for Dance], a world-renowned classical ballet school in Edgbaston. Jackie says: “When Jakob went for his audition I was more terrified than him! “He takes everything in his stride but he knew if he wanted to go he’d have to stand out from the others. Jakob is now a day pupil at Elmhurst, which is also a boarding school. He’s often there 12 hours a day, and does ballet classes every day alongside a full academic programme and other dance classes. He was given a full scholarship to attend, and is one of eight boys in his class of 20. Jackie says: “He’s always been artsy but I’d never have imagined he’d end up at a private dance school. The schools by us aren’t that brilliant, so it’s really good he’s at Elmhurst. He has just done well in his SATs. It’s not too far from us. We usually walk it in around 15 minutes. “Jakob wants to be a professional dancer but we’re keeping his feet on the ground by encouraging him to have something to fall back on, like teaching dance perhaps. As far as Jakob is concerned, the future holds just one vocation: “I want to be a dancer. Definitely!” he says emphatically, and with that he’s off to another class.